Reminder! Melissa Averinos Trunk Show & Talk this Friday! We are so excited to have Melissa Averinos visit the NJMQG this weekend, Friday, May 13th and Saturday, May 14th, 2016! 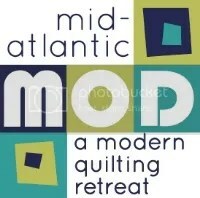 Melissa will share her path as an artist/quilter/fabric designer! If you are registered for the “Making Faces” workshop, we will see you on Saturday, May 14th! Melissa Averinos paints, makes quilts, designs fabric, and writes craft books. She won a Judge’s Choice Award at QuiltCon 2015 for her quilt ‘face #1’ and won Best In Show at QuiltCon 2016 for her quilt ‘My Brother’s Jeans.’ Melissa loves Atomic Fireballs, pie, unicorns, rust, gardening, yoga, thrift shopping, sad songs and summertime. Melissa is an imperfectionist, a hugger and a good listener. She lives on Cape Cod with her Adorable Husband Stuart and their two golden retrievers. ← May 2016 Infinity Scarf Swap!